Deep in Florida, mangroves have been expanding up the east coast. Scientists think the main cause is more than 30 years of warmer winters brought on by climate change. Today, mangroves have reached about 30°N latitude, where a mix of salt marsh and mangroves extends from Nassau Sound in the north to Cocoa Beach in the south. North of that zone, saltmarshes still prevail. To the south, mangrove forests dominate coastal wetlands. But extreme weather plays a role as well. 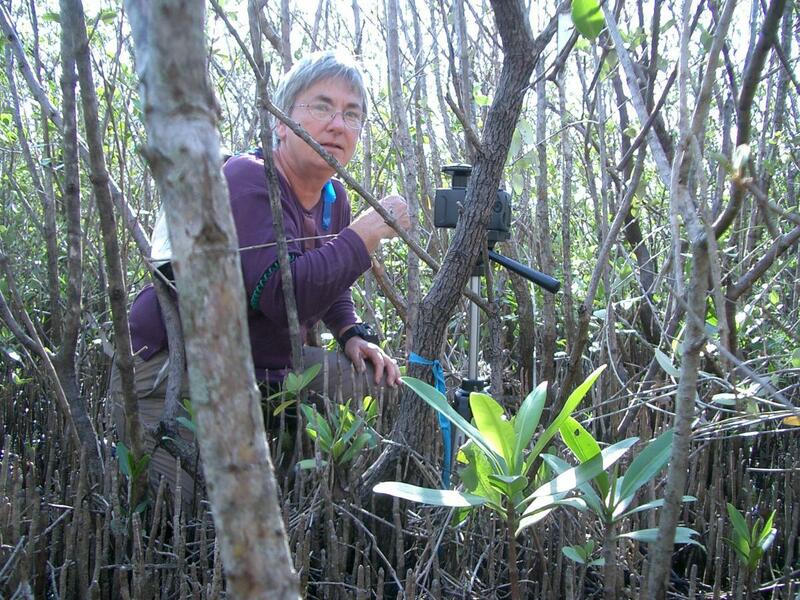 Find out how hurricanes and winter storms are tipping the balances, with veteran mangrove scientist Candy Feller. Our winter evening lectures run every Tuesday at 7pm from Feb. 12 through March 12. Doors open at 6:30pm, with light refreshments. Lectures are free; donations are appreciated. No RSVP required—a curious mind is the only requirement. Stay tuned for our monthly series, starting March 19!